Big Inspiration! Big Art! Big Draw! 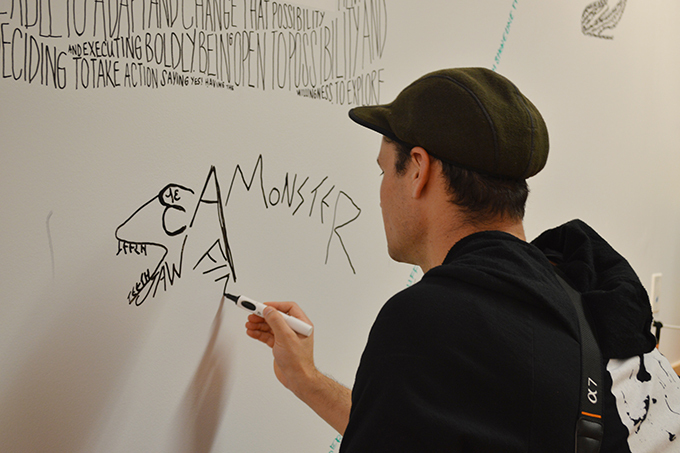 The world's largest drawing festival, The Big Draw, has arrived in Vancouver. 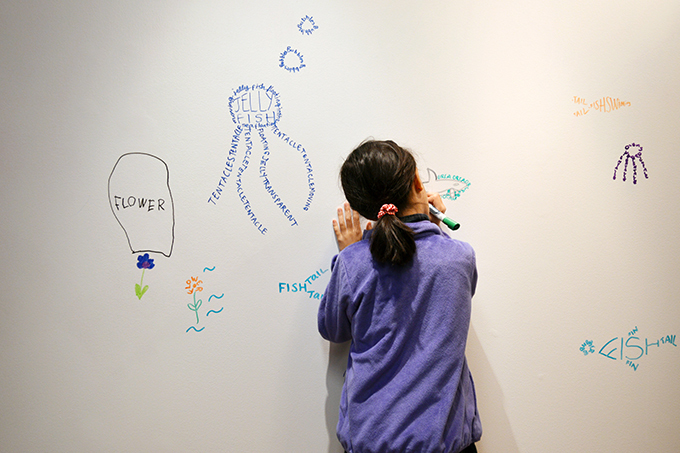 The ArtStarts Gallery leapt into a world of creativity, connecting drawing with social studies, science and technology. 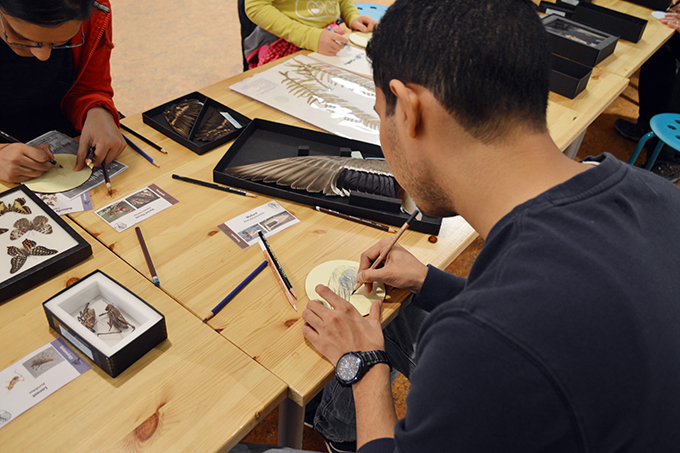 As part of this global event, and in conjunction with Culture Days, we invited the community to our event, Deconstructing Learning through the Arts: A Participatory Drawing Lab. 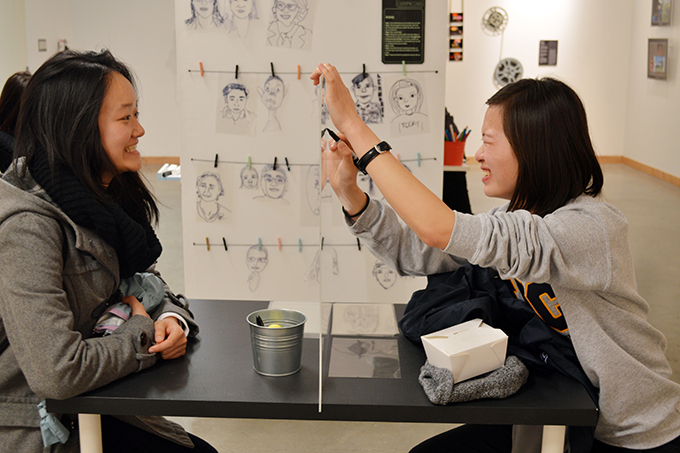 We invited the public to interact with various hands-on stations inspired by STEAM (Science, Technology, Engineering, Art, Math), including our interactive pillar that is currently part of the View Finders exhibition. 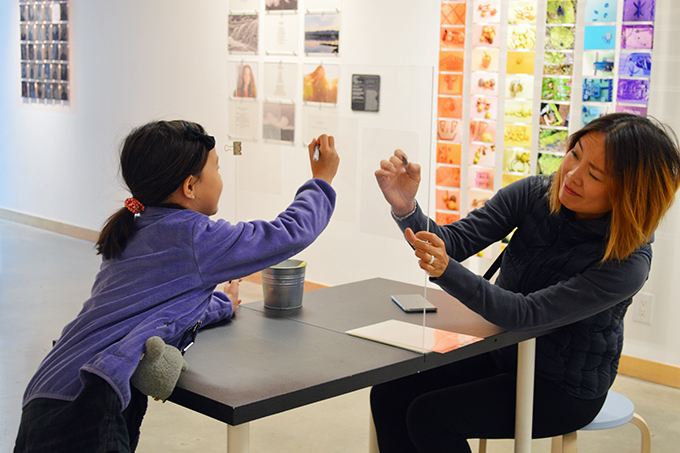 Visitors discovered drawing activities connected to some projects in the exhibition: Capturing Compassion, How Do the Valhallas Influence Who We Are? and Through Our Eyes: Food and Gardening Experiences. 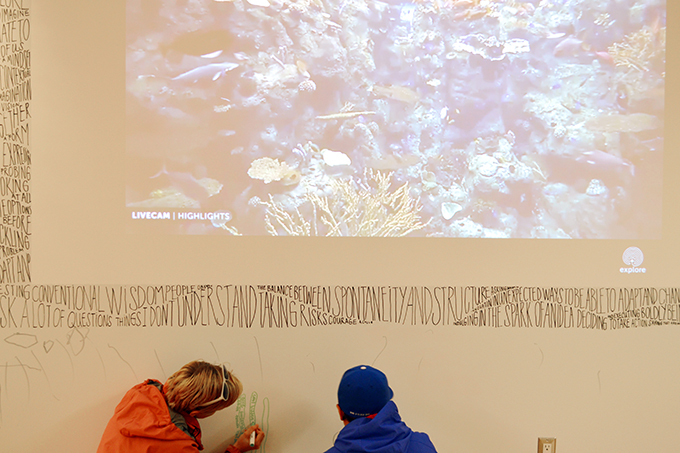 Inspired by the dynamic underwater world which we broadcasted live into the ArtStarts Lab, visitors combined language arts with visual arts to create their very own concrete poems and wordscapes: images formed completely from words! 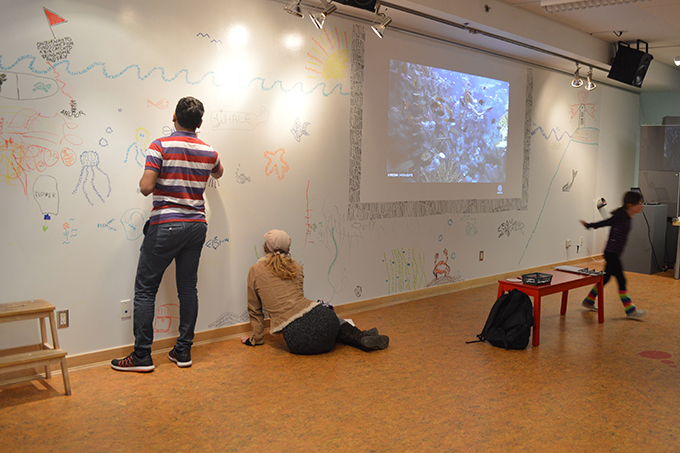 The collaborative effort bloomed into a beautiful seascape made up of poems, an underwater world filled with jellyfish, belugas, wiggly seaweed and smiling starfish. Did you know you can find mathematical patterns in nature? We were delighted to display the many treasures nestled inside the Beaty Box, on loan to us from our friends at the Beaty Biodiversity Museum. 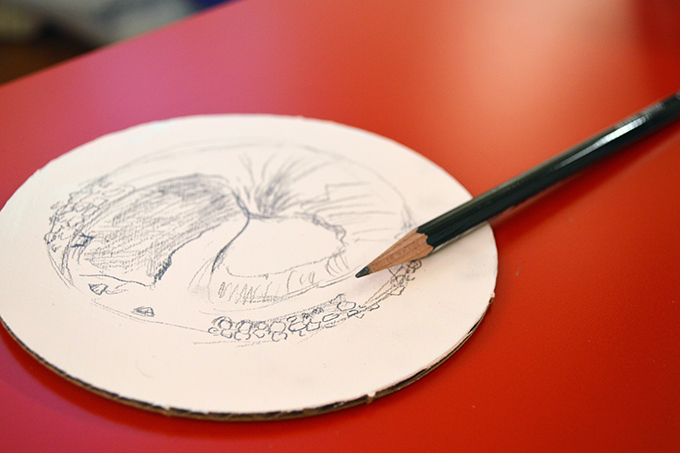 Participants were both artists and scientists—why should the two be separate? 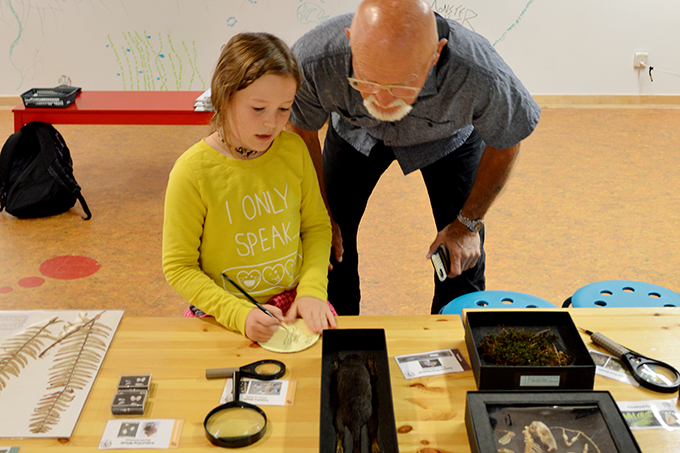 They used magnifying glasses to investigate and draw details of natural specimens and taxidermy including a zigzag scallop, eastern grey squirrel and the skull of a lynx. 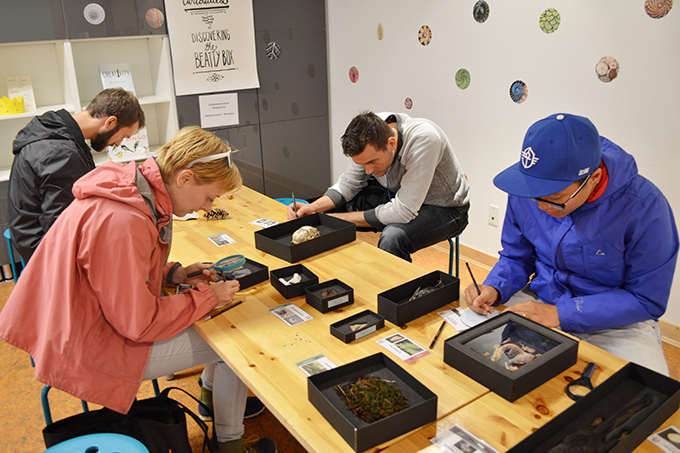 These boxes provided a great opportunity for participants to discover the importance of sketching natural history specimens as a way of learning and identifying observable features of plants and animals. 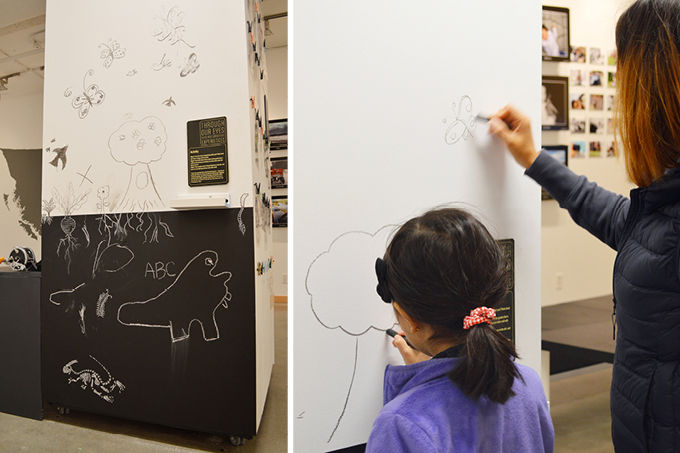 Participants also added their drawings to our collaborative installation. Our visitors entered the magical realm of bioluminescence! UV lasers and glow-in-the dark paint helped recreate the dark, deep ocean lit by marine organisms such as jellyfish and cephalopods. 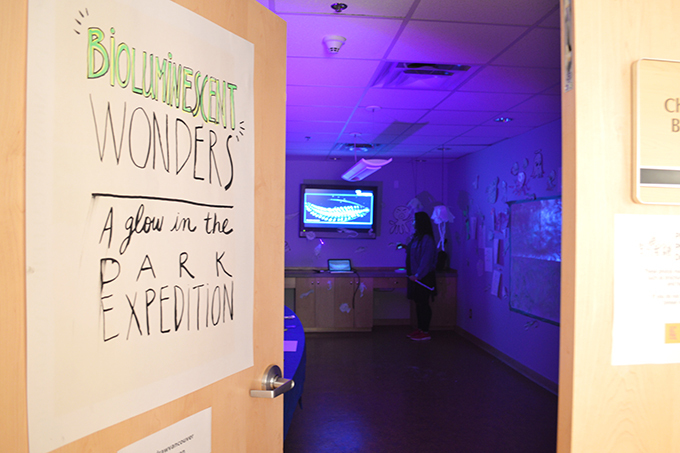 Once inside the room, visitors learned about how and why some marine animals glow and the science behind bioluminescence. Participants even had the chance to learn about electronics and created their own drawing tools using UV LED lights and batteries. 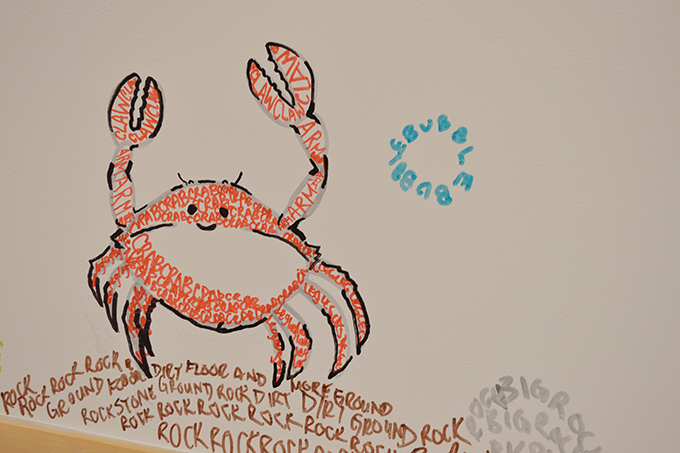 They also created their own marine creatures and ephemeral drawings on a special panel created for this purpose! 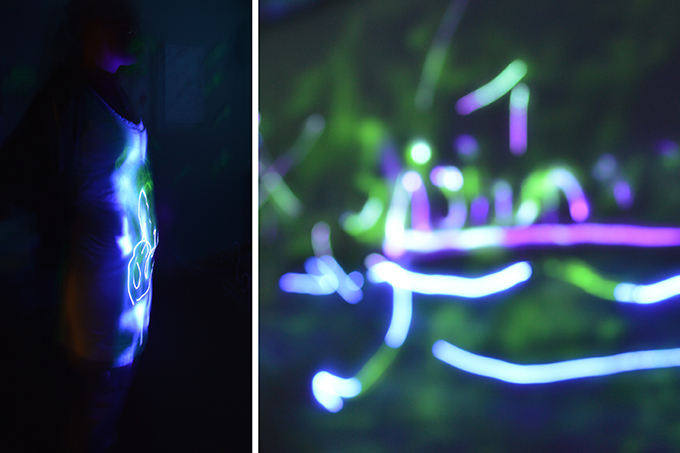 Adding to this experiential station, our volunteer Katrina wore a dress where participants were able to draw other ephemeral tracings with their UV laser lights. 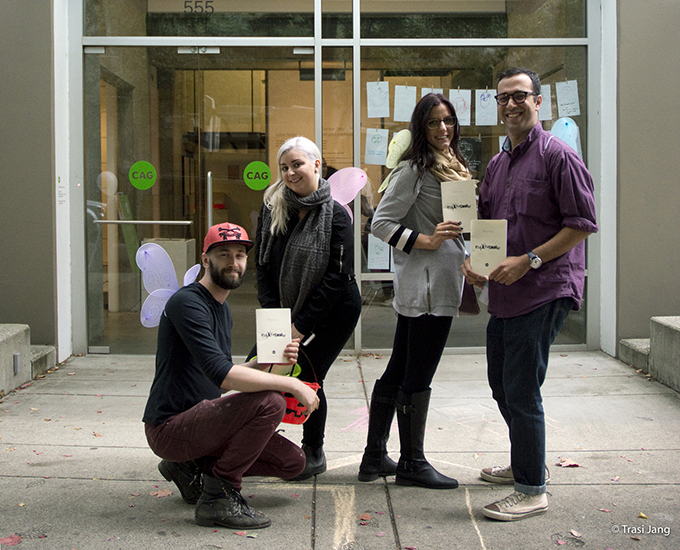 Special thanks to our friends from the Contemporary Art Gallery and the students from Emily Carr University, who designed and led other experiential activities. 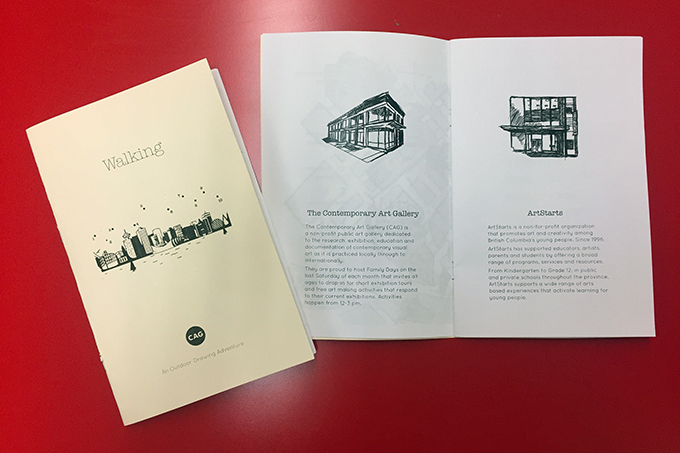 These activities took place at the CAG and between our two galleries that are located two blocks apart on Richards Street. 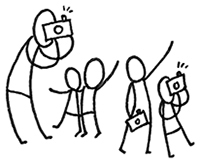 One of these activities invited participants to engage in an outdoor drawing adventure through a sensory walk that included capturing sounds, textures, imprints, drawing your favourite building, designing your own street sign and more. Check out lots more event photos on Facebook!